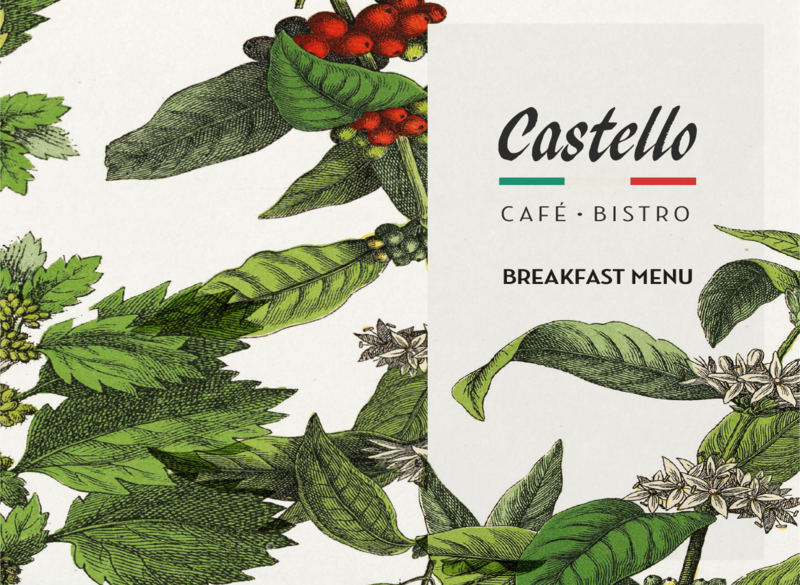 Castello is an Italian, family run café/bistro located within Mearns Castle Golf Academy. 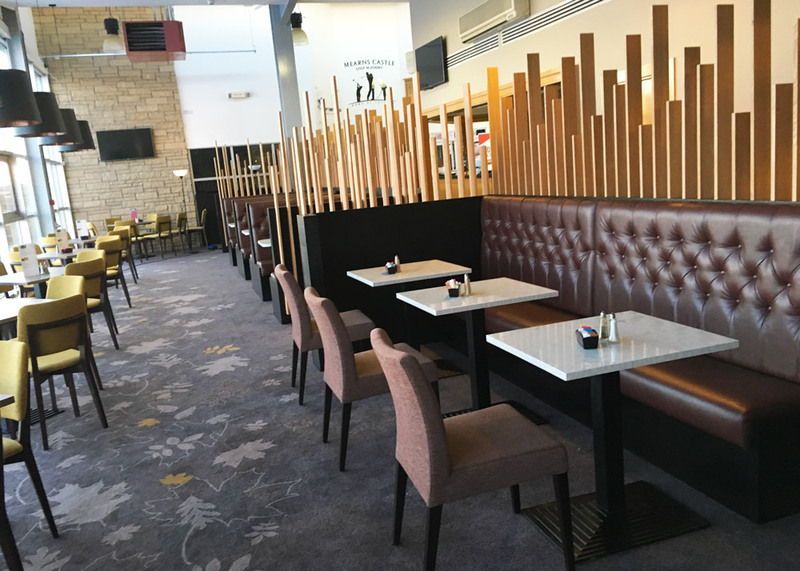 Offering high quality food, we are open to the public and members alike seven days per week, serving an extensive menu to accommodate every occasion and satisfy every taste. 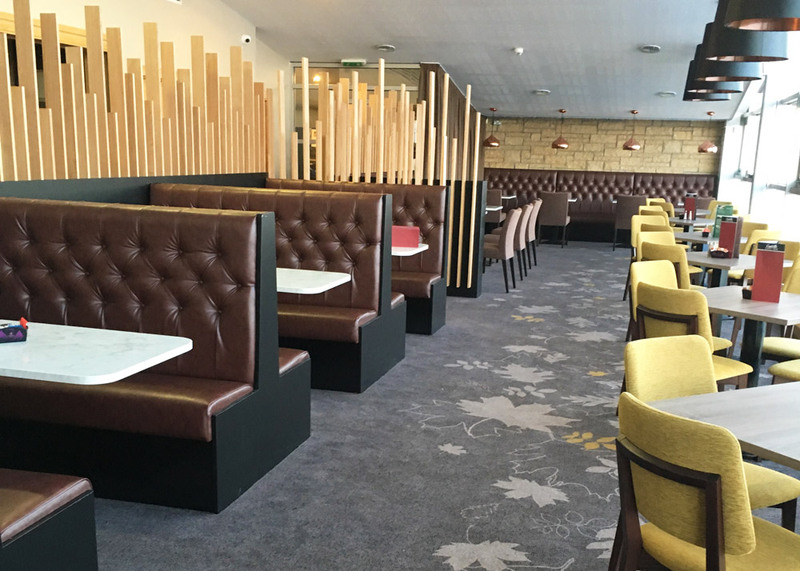 The newly refurbished café/bistro has been beautifully designed with modern booths and tables, bespoke carpet, decorative castellations and a range of comfortable seating. 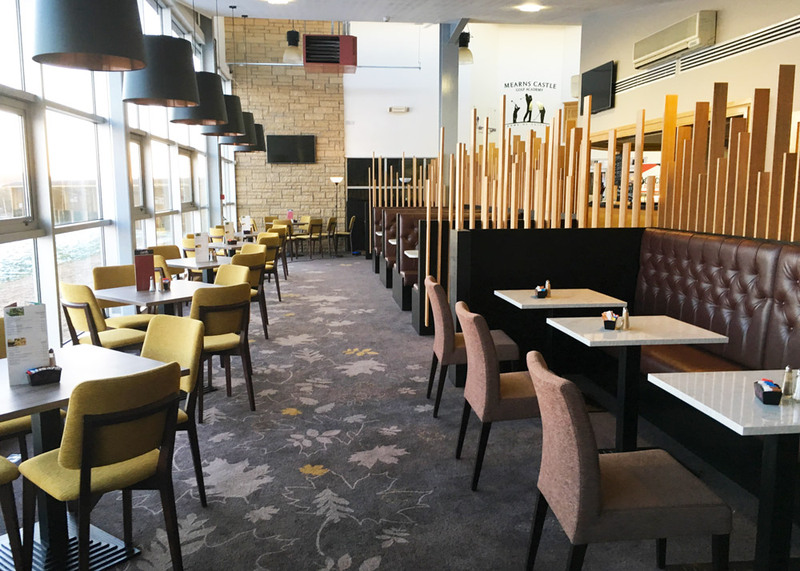 The café has a bright and tasteful interior: perfect for relaxing and enjoying the wide range of food from our newly devised menus, including breakfast, lunch and full a la carte which is available all day. 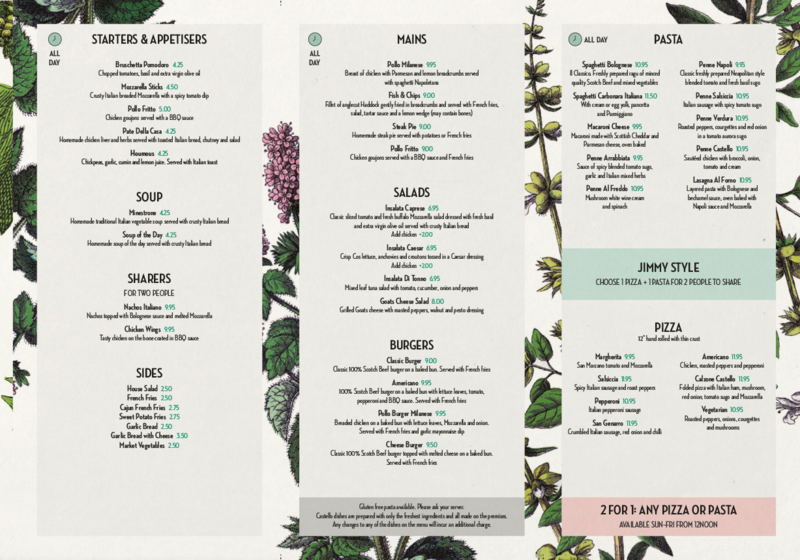 The food on offer includes paninis, sandwiches, salads, burgers as well as, of course, traditional pizza and pasta. We offer the ever-popular Jimmy style pizza/pasta – choose one pasta dish and one pizza and enjoy between two. We also have 2 for 1 pizza/pasta Sunday to Friday from 12 noon. All our pizzas are hand rolled, authentic Italian lovingly made with fresh ingredients – a total delight. And it goes without saying. 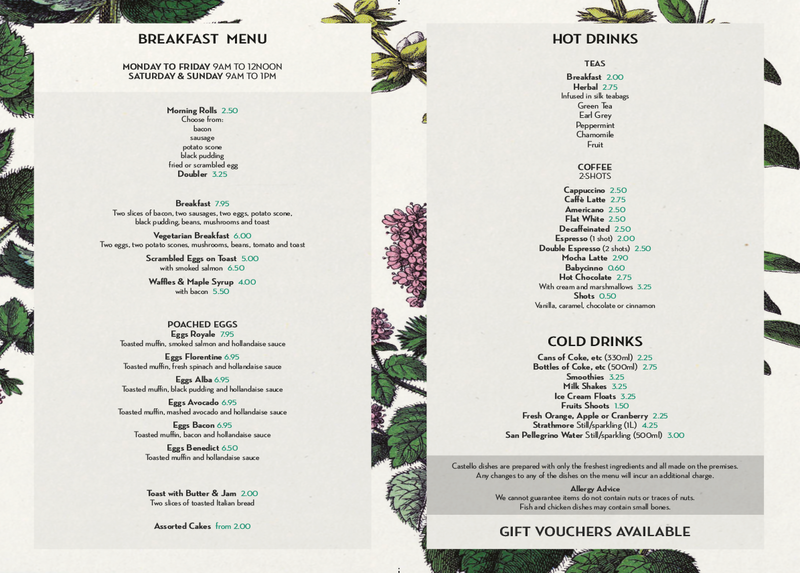 We serve an extensive range of Italian coffees, many flavours of Porrelli ice-cream, and delicious cakes. We have a full bar available serving spirits, beers, wines, prosecco and soft drinks. Our kitchen stocks a range of gluten-free items and as all food is freshly prepared, if you have any allergies or preferences, please let us know as we can adjust our recipes to suit you. Corporate catering and takeaway is also available as well as catering and hosting the many parties and events that are held in the function suite. Gift vouchers are also available. We look forward to welcoming you to Castello to taste the passion and skill in our food. 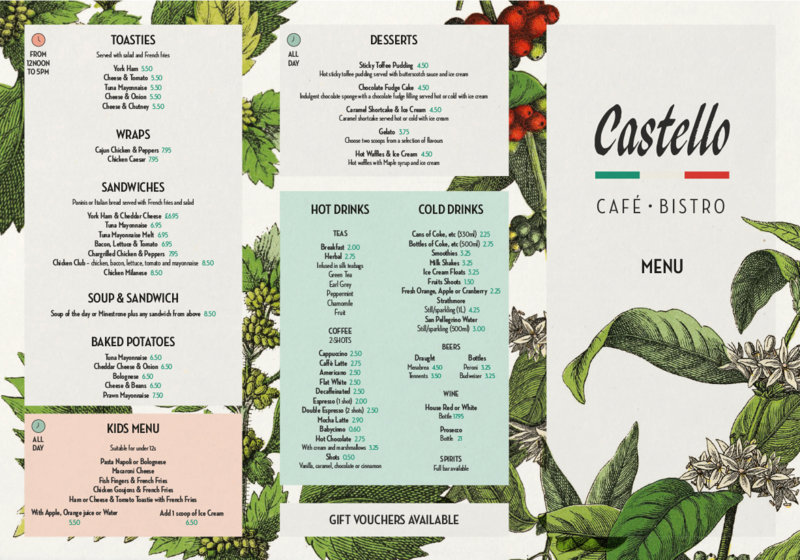 Castello – gustoso italiano: the tasty Italian.